Great news! Hubby has been accepted for a mortgage which means that we can now make arrangements to move. We’ve been told that the moving date is 7 October, so we have very little time to pack everything up into boxes and arrange for them to be moved. We also have to sort out a cleaner to clean the property as the flat will be subject to a valuation and we could really do with all of our deposit being returned back to us. 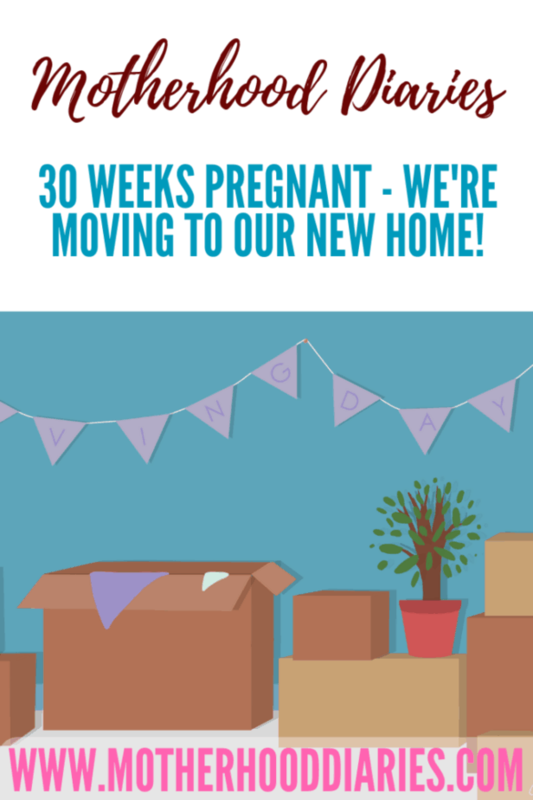 30 weeks pregnant – We’re moving to our new home! Hubby has been accepted for a mortgage which means that we can now make arrangements to move. We’ve been told that the moving date is 7 October, so we have very little time to pack everything up into boxes and arrange for them to be moved. We also have to sort out a cleaner to clean the property as the flat will be subject to valuation and we could really do with all of our deposit being returned back to us. I called up the NCT and informed them of our move and they were very helpful and found us an alternative place near to the new area straight away. I just need to find a suitable hospital now, so that I can register to give birth. I thought that it would probably be easier to move first then hubby and I can have a look around together. Mum and dad are so happy that we’re moving just five minutes away from them now, which means they’ll get to see Boxer much more often. I am quite upset that I’m moving so far away from my friends, but it’s for the best. I think, if there is a chance to be around family, especially when I’m having a baby, I should take it. A fun fact – The baby weighs about the same as a head of cabbage! Your baby is now the size of a cabbage! Your baby will now respond to light, but their eyesight is still developing so they may only be able to see fuzziness. Check what benefits you have during pregnancy – if you are living on a low household income, you may be entitled to a Sure Start grant if this is your first baby. The end is in sight so start planning some ‘me’ time after the baby is born because this time will be hugely scarce once your baby greets you in the outside world. Get your hair cut, go for a mani/pedi or just spend time with your friends, as these activities will give you a big boost after birth. Studies also have shown that a good support network decreases your chances of getting postnatal depression too!